Debra Weiss Ford is Managing Shareholder and Litigation Manager of the Portsmouth, NH office. Ms. Ford has over 30 years of experience representing employers in litigation matters before the state and federal courts and administrative agencies. Ms. Ford also represents employers before the New Hampshire Commission for Human Rights, the Equal Employment Opportunity Commission, the New Hampshire Department of Labor, the Massachusetts Commission Against Discrimination, and the Massachusetts Department of Employment Training. Ms. Ford also lectures frequently at seminars in New Hampshire and Massachusetts on issues related to employment law, including discrimination, wrongful discharge, reductions in force, termination issues, personnel issues, and contractual issues. She regularly advises clients on employment-related matters. Ms. Ford is listed by Chambers as one of America’s Leading Lawyers for Business. She is the author of the New Hampshire chapter of Workplace Privacy, a legal reference book for managers and human resource professionals, published by the Thompson Publishing Group, a division of West Publications. Ms. Ford was elected as a Fellow to The College of Labor and Employment Lawyers in June 2006. She is named as New Hampshire’s Best Labor and Employment Lawyer by Business NH Magazine. 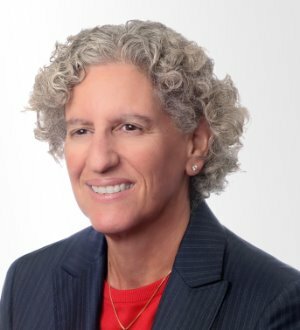 She is listed in The Best Lawyers in America by Woodward White, Inc., and has been recognized by New England Super Lawyers as one of the top 50 women lawyers in New England and one of the top 100 lawyers in New England. She is listed in Top NH Lawyers in Labor and Employment in New Hampshire Magazine and has consistently been named the Best Lawyers’ Manchester Employment Law – Management Lawyer of the Year. She is also rated AV by Martindale-Hubbell. Ms. Ford was named one of the “Leaders in their Field” in the 2012 Chambers USA Legal Guide. Ms. Ford serves as a board member for the Portsmouth Music Hall, Family Service, Inc., and Seacoast Human Resources Association, and she is an emeritus board member of the New Hampshire SPCA.